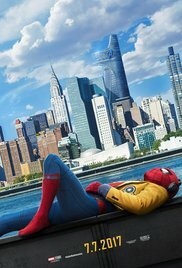 First off I want to say I loved the original Spiderman with Tobey Maguire and then the next reboot with Andrew Garfield. Those two did a wonderful job. But, the great thing about this new version is it ties in with this Marvel Universe we know and love. Pros: I love that Spiderman can now join Iron man, Captain America, and the rest of the Avengers. We all know the sad story behind Uncle Ben's death, so not getting to go through that sadness and focus more on Peter was great! Story flowed nicely, including action and bits of comedy, a friend I went with compared that flow to Guardians of the Galaxy. You see a moment towards the end where Peter is struggling and you struggle with him as an audience and to be the "Hero" he wants to be he uses advice from Tony to overcome this hardship, it's a really powerful scene and probably my favorite in the movie. Supporting cast from those playing his classmates to Tony Stark, Happy Hogan, and even the villains made Peter more mature in becoming the hero he wants to be: Spider-Man. Cons: I want to be fair and add some cons but a con a brother of mine had was his suit was too high tech. Thinking about it more and more he might be right. There is a comic and even in the animated shows where the only high-tech suit he gets is when Iron Man makes him the Iron Spider suit. But until then he shouldn't really have anything too fancy. But it was cool hearing his own personal "Jarvis" while in costume. I wanted to see more Avengers make a cameo but that's just me. Like I mentioned above I loved the first and second versions of Spiderman but I fell in love with Tom Holland's performance just as much. I won't say he's the "best" but he deserves his recognition just as much as Tobey and Andrew did for their take on the neighborhood hero. Can't wait for the sequel but for now, let's get on that Thor: Ragnarok Train. Don't forget to stay during and after the credits for extra scenes!